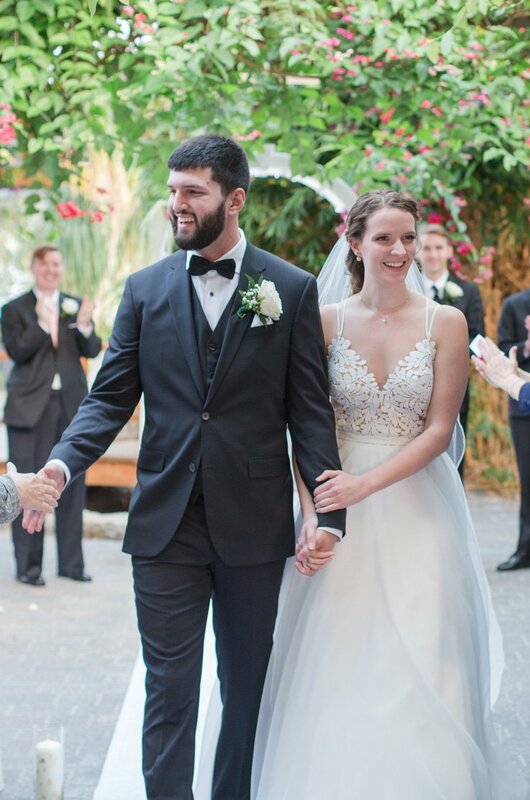 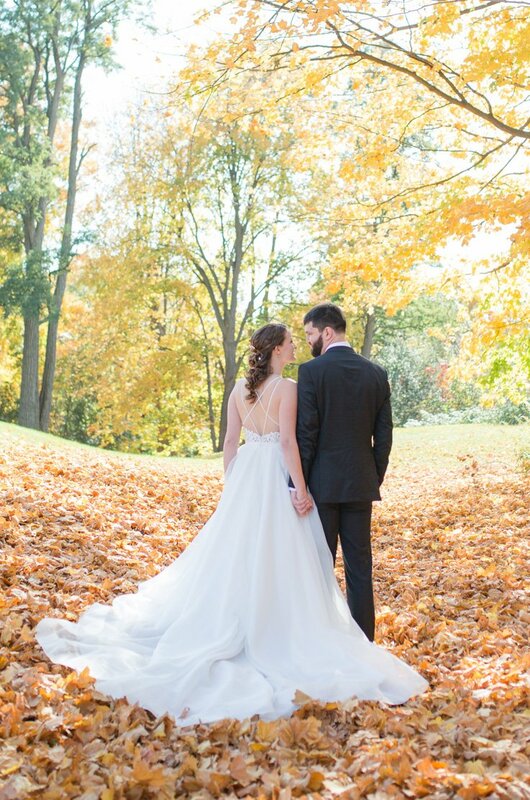 The venue was the first thing we settled on – we found this gorgeous green house that we absolutely fell in love with. 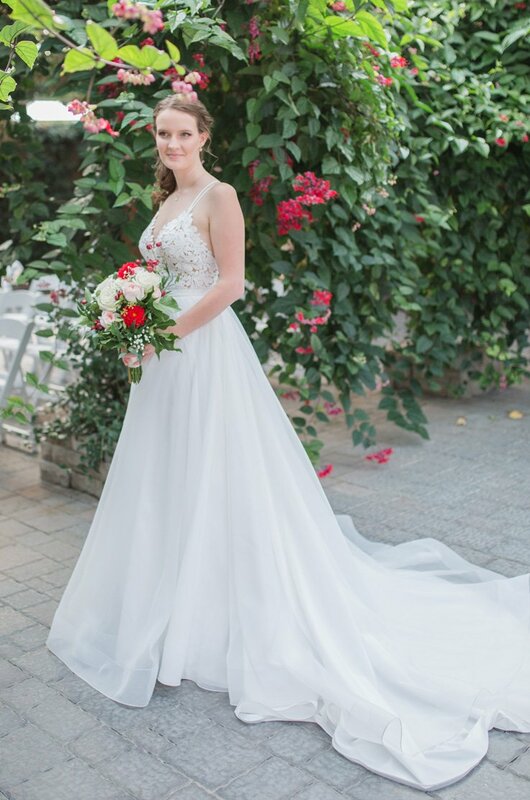 Picking a dress, I knew it needed to be a elegant statement piece that matched the natural vibe of the venue. 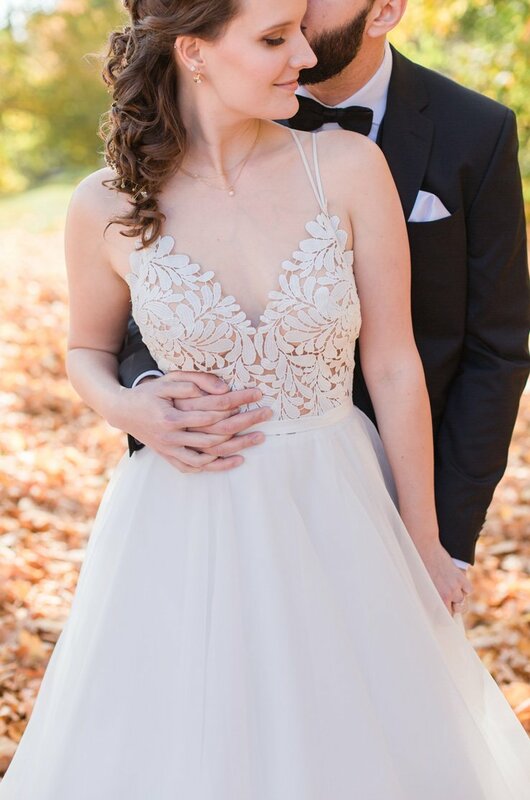 This dress fit the bill perfectly! 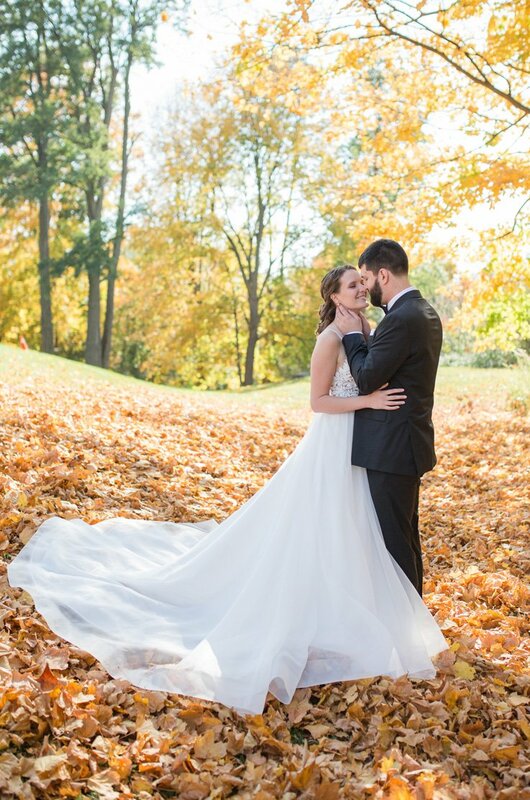 We got married on the most gorgeous fall day and everything was absolutely perfect.